Do you use scientific papers and references from medical journals during your sales conversations? Use them if you have them, and if it makes sense to do so. But if you do, there are a few things you need to be aware of. This is not a discussion of how exactly to cite scientific data during a sales conversation, but more of a tactical approach on what to do and what to avoid. 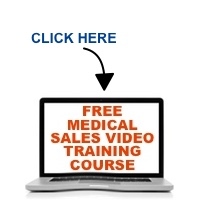 Let me know what you think by posting some comments below on the www.medicalsalesguru.com page under this podcast.